This WebWork is being made in honor of the memory of the political exile Ariel Dorfman and Armand Mattelart underwent in the course of General Augusto Pinochet’s Chilean coup and President Salvador Allende’s death. I am a fan of Isabel Allende and Chilean cultural mythos, and it’s most interesting to note that the half-American half-Chilean Dorfman served as cultural adviser under the deceased president, necessitating his position in an ideological stronghold of government. I’m not sure how well this coincides with the idea that the commonly discussed work of political analysis he made with Mattelart, Para Leer al Pato Donald (How to Read Donald Duck), primarily pertained to imperialist ideology blatantly manifesting itself in the Disney comic. Hey hey! Hold on a minute. Don’t give me that Youtube-screenshot face. You’ve been reading enough Marx and Engels in this class, haven’t you? You should have already concluded that all capitalist institutions are out to shamelessly sow the seeds of consumer-oriented ideology within the public sphere and take advantage of the power relations within a passive-absorbent economy. 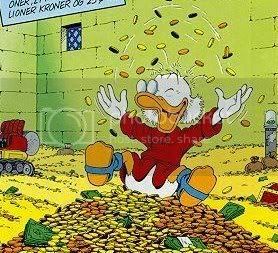 That’s right, Mr. Scrooge, it all comes down to value preservation for monetary gain in the end. The question is, how relevant are Dorfman and Mattelart’s assertions in the present time, where globalization and liberalistic views are supposedly making society more flexible and dynamic? Is the Disney phenomenon really a timeless one? And considering the background of this monstrous industry, does it still turn on an orbit of supremacy in the context of 2009, as it did in 1975? Let’s put aside our fond memories of lining up in movie theaters for the first screenings of The Lion King and Toy Story to go back further in time and see where the Disney empire began. The phenomenon started with one enigmatic person. Walter Elias Disney started his everlasting project of creating characters, animating them and releasing them into mainstream media in 1928 with the iconic ‘Steamboat Willie’, the world’s first glimpse of Mickey Mouse in his eternal yellow-buttoned red trousers. We shouldn’t forget that Walt himself was a product of the typical American social background at the time, with his family roots and means of living being agrarian at a period in his life, and even the world’s greatest cartoonist (and gatherer of international capital, as we will soon see) succumbed to early financial failure, his company Laugh-O-Grams reaching bankruptcy and the idea for his first commercial animation venture, The Alice Comedies, doomed for a flop. 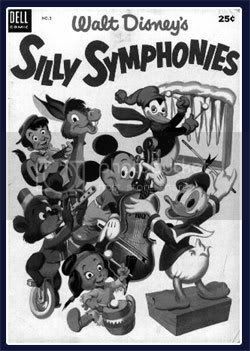 The big break came when Walt was able to hold the patent for Technicolor for his Silly Symphonies (do you remember the ones we used to watch on video, and the ones they used to air so frequently on the Disney Channel? ), enabling him to make the only color cartoons for two years. Amazingly, with a flabbergasting $1,499,000 during The Great Depression, Walt was able to launch Snow White and the Seven Dwarves, the world’s first full-length animated musical feature, amid praises and profit for yet another revolutionary undertaking in the new age of artistic mechanical reproduction. Paradoxically, Walt was a lover of history and an advocator of the plague of nostalgia, but at the same time a proponent of the dehistoricization of ideals; the mediums of his animation would graduate from Technicolor to CGI, and from fairytale princesses to alien superhero creatures, but the spatial circumference of perceived utopia would remain as long as the ‘bridge’ did not burn. Indeed, the bridge is far from being burned. The industry that was spawned from one man’s page-to-page animal doodles has flourished all throughout the twentieth and early twenty-first century, and Dorfman and Mattelart would probably still be analyzing the overwhelming effects of Disney Co.’s expansion and modernization. Let’s take a look into the future. 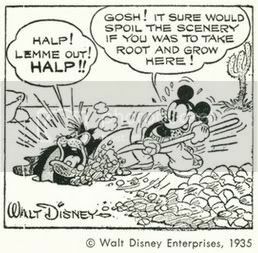 Dorfman and Mattelart were most exclusive to the proliferation of published Disney comics in the ‘instructions’ article, and pertinent Disney-oriented media has come a long way since then. Donald Duck and the miserly Uncle Scrooge remain in our memories from these comics and other classics of antiquity, in the form of rented videos and movies like the rendition of ‘A Christmas Carol’, but they are kept in our sight with the emergence of strong advertising and colorful production. The studio has created a strong following over the years, successfully creating sequels and spin-offs for films like Aladdin, The Lion King and Toy Story, and expanding its cultural reach to further mediate globalization, giving us a taste of Australia (‘Finding Nemo’), Hawaii (‘Lilo and Stitch’), even pre-colonial Peru (‘The Emperor’s New Groove’). If movies and comic strips weren’t enough to satiate our love for Disney, the advent of the television era enabled the corporation to utilize satellite powers and launch The Disney Channel in 1983, and up to the 1990’s idols were made out of slots on the Mickey Mouse Club. Do you remember people who embraced the Disney stereotype and were doomed to be destroyed by it in the future? 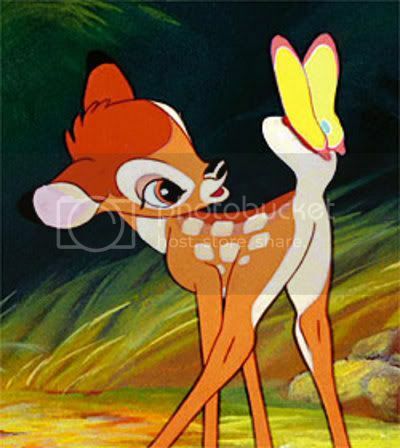 But for Dorfman and Mattelart, the key element to be paired up with aggressive capital backing and comprehensive marketing is Disney-characterization, because as the propagators of Disney culture eventually discovered, ideology was most powerfully backed by reinforcing character-essentialities placed against a background of purity and nostalgic perfection. The outward appearances and actions of these characters may have changed, but the ideological formula in itself remains the same. Exactly. It is from this tender journalistic quote that we realize that the talking animals we so fondly encounter in the Silly Symphony cartoons are there to do more than survive all sorts of mishaps with anvils and moving cars—to Disney’s greatest advocators, it is fact and established norm that Mickey, Donald, Goofy and the others live out fables, teach lessons. We’ll analyze what exactly is taught in the virtual school room later, but for now it’s already enough to question the fact that the personified woodland creatures hold so much unquestioned power over their viewers and their respective morals-in-development. Do the talking animals still hold relevance to this day and age? Are they still beholden to bear the torch of good principles to the youth? Humans are talking animals too, and what’s more, they’re paid to willingly promulgate this cycle, unlike their animated counterparts. The fables may have changed—now they take place in high schools and ‘rock and roll’ summer camps, but Disney’s authoritative formula of character construction has definitely worked and remained effective over the years. C. THE CYNICS, AND WHATEVER HAPPENED TO OLD SCHOOL? Nowadays most liberated American families do not tolerate the practice of corporal punishment for misdemeanors as a measure to preserve the sanctity of ethical values for children. After all, ethics education has expanded from parents’ word of mouth and kindergarten textbooks to dependable media—‘safe’ daytime shows teaching kids how to share, study well and love their families. 1. 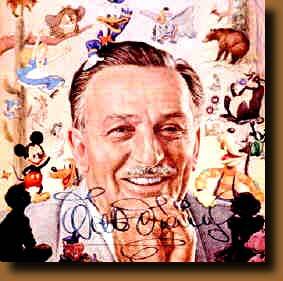 The authors of this book are to be defined as follows: indecent and immoral (while Disney’s world is pure); hyper-complicated and hyper-sophisticated (while Walt is simple, open and sincere); members of a sinister elite (while Disney is the most popular man in the world); political agitators (while Disney is non-partisan, above politics); calculating and embittered (while Walt D. is spontaneous, emotional, loves to laugh and make laughter); subverters of youth and domestic peace (while W.D. teaches respect for parents, love of one’s fellows and protection of the weak); unpatriotic and antagonistic to the national spirit (while Mr. Disney, being international, represents the best and dearest of our native traditions); and finally, cultivators of “Marxism-fiction”, a theory imported from abroad by “wicked foreigners” (while Unca Walt is against exploitation and promotes the classless society of the future). 2. Next, the authors of this book are to be accused of the very lowest of crimes: of daring to raise doubts about the child’s imagination, that is, O horror!, to question the right of children to have a literature of their own, which interprets them so well, and is created on their behalf. 3. 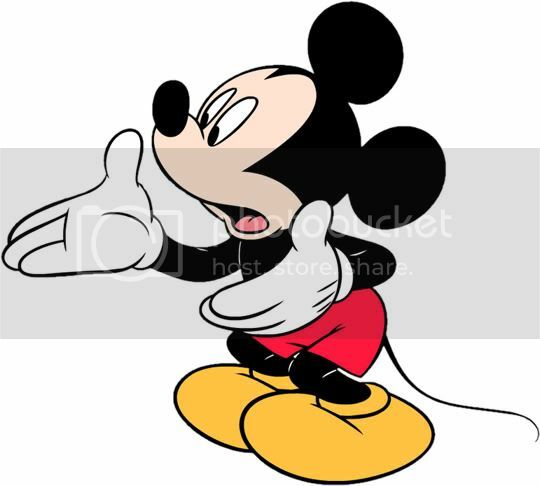 FINALLY, TO EXPEL SOMEONE FROM THE DISNEYLAND CLUB, ACCUSE HIM REPEATEDLY OF TRYING TO BRAINWASH CHILDREN\ WITH THE DOCTRINE OF COLORLESS SOCIAL REALISM, IMPOSED BY POLITICAL COMMISSARS. I don’t know with the rest you, but I always loved Maleficent. One thing Disney films teach children is how to recognize a stereotype of universal evil without understanding its nature and background—which is something of a pity, since the villains are sometimes more complex and relatable than their heroic adversaries. If we could put an understanding of cultural hegemony in the shortest and simplest terms, we’d say that the most detrimental effect that it has on the people who partake in and are affected by it is a sense of seclusion and close-mindedness, often blinding and irreversible. Disney’s creations, past the form of comic strips and now encompassing the whole media stronghold of cable television and modern cinema, have acquired the power of ‘timelessness’ for their own instrumentation. Perhaps we shouldn’t take on the exact level of socialist critical analysis that Dorfman and Mattelart employ when they mentally launch the rotten tomatoes at the gates of Disneyland, but it is dangerous in itself to assume that these embodied values are absolute. Take for example, the ill-fated ‘Song of the South’, kept from home video release in the 1960’s era of American civil rights? What could be so wrong with Uncle Remus’s old ragtime tales of Br’er Rabbit? Though still labeled a Disney classic, ‘Song of the South’ was criticized for misrepresenting and sugar-coating the pre-Lincoln slave-master era as idyllic and trouble-free. In an American society professing itself to be liberalized and socially aware of the casualties of human exploitation, most people would not find it in their ideal that their young children would echo sentiments of glorified Civil War-age imperialism. “In juvenile literature, the adult, corroded by the trivia of everyday life blindly defends his image of youth and innocence. Because of this, is perhaps the best (and least expected) place to study the disguises and truths of contemporary man. For the adult, in protecting his dream-image of youth, hides the fear that to penetrate it would destroy his dreams and reveal the reality it conceals. The ideological Disney parent-child relationship comes full circle in a study of Miley and Billy Ray Cyrus, outside and inside of the world of Miley Stewart and Hannah Montana, because both the television program and the woeful tales of reality speak of a cycle of control and ambition amidst the throngs of superstardom. Both virtual and real Disneyworld are conducive backgrounds for the study of passing legacies and enhancing the vitality of timeless ethics. Though Disney’s market is primarily for children, creation and allowance are rights exclusively granted to adults: they are the ones who decide and construct notions of utopia for those deemed too young to understand and assimilate by themselves, and the mask of purity is so well balanced by the crushing force of media cultivation. Because childhood is a stage that continues through the centuries for every human being, there will always be some form of representation for rule and authority, and even the smallest sense of ignorance for intellectual and developmental oppression. Dorfman, Ariel, and Armand Mattelart. 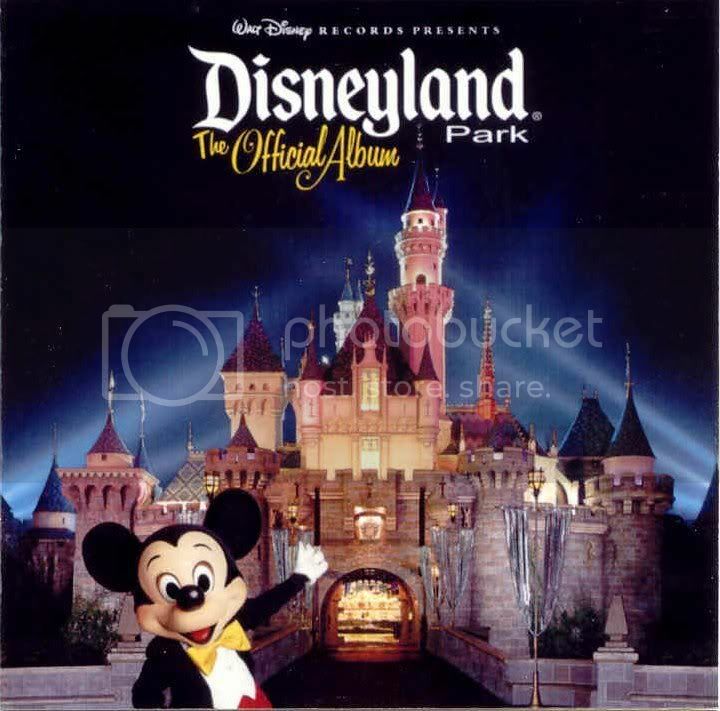 “Introduction: Instructions on How to Become a General in the Disneyland Club.” Media and Cultural Studies: KeyWorks. Ed. Meenakshi Gigi Durham and Douglas Kellner. Malden, MA: Blackwell Publishing, 2006. 122-129.